In previous years there has been many new standards applicable to the Euro Cylinder. All standards have different meanings and it has now got the point where it can be confusing for us locksmiths, let alone you the customer. However, let me see if I can break it down and simplify things a little. 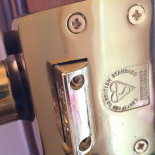 Generally, when you're looking for a product, not just locks but most products in general, the British Standard Kitemark is your guarantee of quality, giving you piece of mind that what you are buying has been tested thoroughly to a high standard. The humble mortice lock is s great example of this incorporating all the security standards required by BS 3621. The euro cylinder, however, does not have to pass the snap test which to most is bizarre and this is where the confusion begins. This is the British Standard that applies to Euro cylinders but that doesn't mean they have been subjected to the rigours of the snap test to gain the British Standard Kitemark. Yes, its confusing already but stick with me. This is where the star system is used. 3 stars being the highest security rating that can be awarded. a 3 star cylinder will have passed the BSI TS 007:2012 scrutiny and the snap test. A cylinder awarded 1 star will have undergone TS 007:2012 scrutiny without undergoing the snap test. 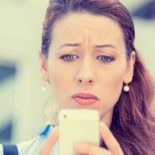 The lock may not have been designed to pass the snap test. Solid Secure diamond is highest anti snap test level that can be awarded. However, this test is still being revised to incorporate the latest edition of tools available to locksmiths to snap cylinders. these tools are only available to locksmiths so worry not. It's safe to say that these standards are somewhat confusing. If you were to 'ask me on a Monday' I'd say as long as you have a British Standard Kitemark on your cylinder on your front door, coupled with sturdy door incorporating a good quality multipoint lock you should be safe from the bad guys. 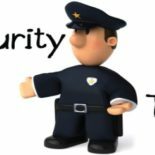 However, If in doubt, call Dougie at ACQ locksmiths Ltd and will be happy to provide you with thorough and free security check to put your mind at rest.